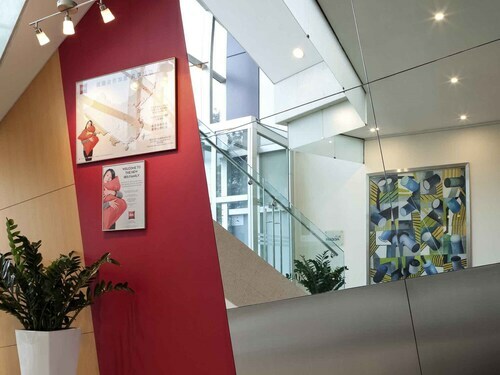 Next to Hunghom MTR station and directly connected to a shopping mall, Harbour Plaza Metropolis is a five-minute bus ride to Nathan Road. 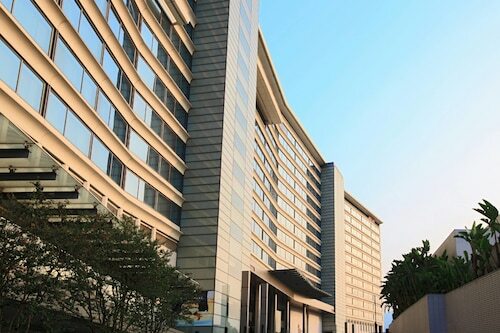 Located in Hung Hom, this luxury hotel is within a 10-minute walk of Victoria Harbour and Kowloon Bay. Temple Street Night Market and Tsim Sha Tsui Promenade are also within 2 mi (3 km). Whampoa Station is 7 minutes by foot and Hong Kong Hung Hom Station is 18 minutes. 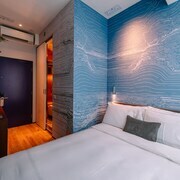 Located in Tsim Sha Tsui, this hotel is within a 10-minute walk of Avenue of Stars and Harbour City. Ladies' Market and Lan Kwai Fong are also within 2 mi (3 km). Hong Kong East Tsim Sha Tsui Station and Hong Kong Tsim Sha Tsui Station are within a 5-minute walk. 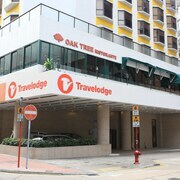 Located in North Point, this hotel is steps from North Point Ferry Pier and Victoria Harbour. Victoria Park and Hong Kong Sogo are also within 2 mi (3 km). Hong Kong North Point Station is only a 5-minute walk and Hong Kong Fortress Hill Station is 14 minutes. Located in Jordan, this hotel is within a 10-minute walk of Temple Street Night Market, Jade Market, and Miramar Shopping Centre. The One and Knutsford Terrace are also within 15 minutes. Hong Kong Jordan Station is only a 2-minute walk and Hong Kong Austin Station is 11 minutes. 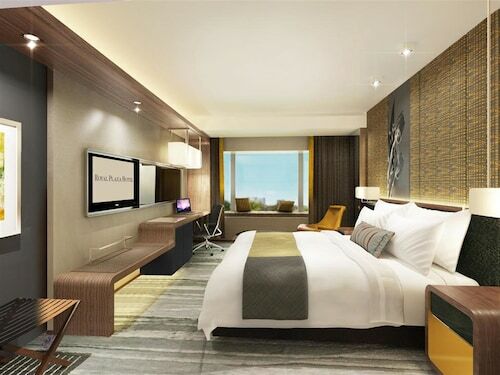 Linked by bridge to Langham Place Shopping Mall, this 42-story hotel offers access to 300 international shops, restaurants, a multiplex cinema, and the Mongkok subway station. 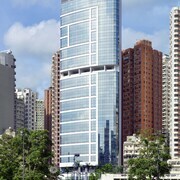 Located in Yau Ma Tei, this luxury hotel is steps from International Commerce Centre, Victoria Harbour, and Sky 100. Temple Street Night Market and Nathan Road Shopping District are also within 6 mi (10 km). How Much is a Hotel Room in Hong Kong SAR? 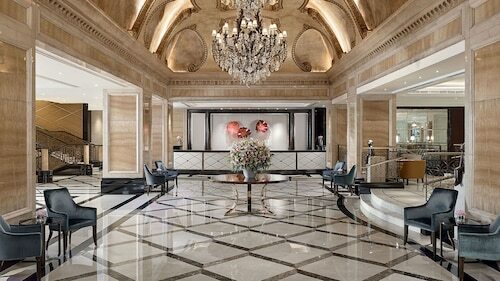 Hotels in Hong Kong SAR start at $155 per night. Prices and availability subject to change. Additional terms may apply. 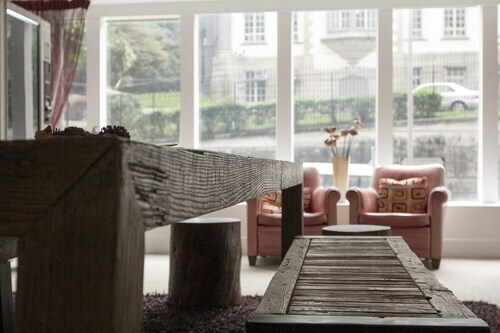 A true vacation destination should offer something for all your physical senses to absorb. True, lasting memories are better created when you are able to associate them with a sight, smell, taste, sound, or touch. For a sensory getaway like no other, a trip to Hong Kong—literally translated as “fragrant harbor”—will serve as fodder for a lifetime of memories. Where Are the Best Places to Stay in Hong Kong? 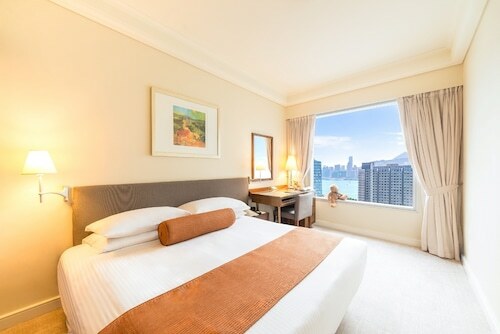 When deciding where to stay in Hong Kong, your best bet is to pick a district downtown that is close to either Victoria Harbor or Kowloon Bay. You’ll always be just a short drive to the peaks high above the city. But, more importantly, you’ll be able to walk to the colorful shops, aromatic restaurants, and dynamic street markets that the city is famous for. Here are some of our favorite neighborhoods and a few hotel ideas for good measure. If you are a professional shopper, or an amateur hoping to join the ranks, Hong Kong hotels in Wan Chai are the place to stay. The stalls along Spring Garden Lane offer exquisite garments, while Queen’s Road is the place to go for rattan furniture (they ship to anywhere in the world), and techies go gaga over gadgets at the computer shops on Hennessy Road. 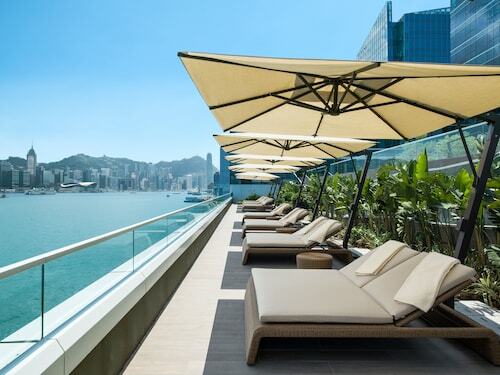 Renaissance Hong Kong Harbour View Hotel: Situated next door to the Hong Kong Convention and Exhibition Centre, the recently renovated Renaissance delivers a classic customer experience in a thoroughly modern setting. The elegant décor of the guestrooms is complemented with amenities such as free international 3G IDD internet calls, custom bedding, massage shower, and breathtaking views of Victoria Harbour. 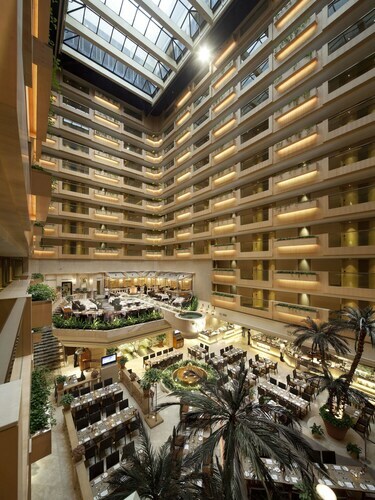 JW Marriott Hotel Hong Kong: Sharp lines, refined luxury, and unmatched service define this high-rise hotel perched atop Pacific Place Mall. Enjoy the fragrant scent emanating from the plumeria trees bordering the heated outdoor swimming pool. Take advantage of modern guestroom conveniences like 42” high-definition televisions, BOSE audio systems, and free Wi-Fi. Find tranquility in a soothing soak in the marble bath or a deep sleep on the plush bedding. This high-density district is flush with unique shopping experiences down every bustling boulevard. Get lost in retail heaven in the 13-story Sogo department store or find a one-of-a-kind gift in a stall in an open-air street market. Once the “Noonday Gun” sounds from the harbor, you’ll know it’s time to find a local bistro for an amazing lunch. 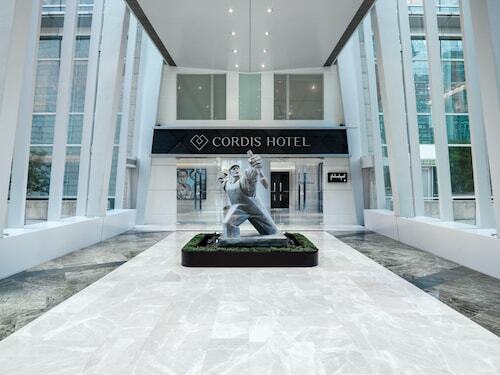 City Garden Hotel: An ideal accommodation for both business travelers and vacationers alike, the City Garden has over 600 rooms and suites impeccably designed to impress and comfort. Conveniences like free in-room Wi-Fi, a smartphone for free international calls, and flat-screen television reflect the guestroom’s modern décor. Casual diners and cuisine connoisseurs will enjoy the Michelin-starred YUÉ, Garden Café buffet, and Singapore-style Satay. Nestled between the Causeway Bay and Quarry Bay neighborhoods, North Point offers sweeping vistas of Kowloon Bay across to Tsim Sha Tsui. Take an evening harbor cruise for a different perspective of the Hong Kong skyline as the towering buildings shine in every hue of the Technicolor rainbow. 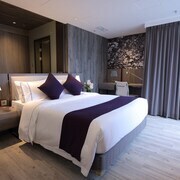 Harbour Plaza North Point: Contemporary and elegant, the Harbour Plaza pampers its guests with well-appointed suites boasting harbor and mountain views, Wi-Fi access, and fully stocked minibars. Eat like a local at the upscale Hoi YatHeen Chinese restaurant or dine internationally at Greens Café. Spend the day by the rooftop pool or dance the night away at The Point lobby lounge. Let Travelocity help you book your stay in Asia’s World City. You’ll be able to select from cheap hotels near Hong Kong, luxurious high-rises in neighborhoods downtown, and affordable accommodations throughout the city. Take your senses on an epic journey as they work to form memories that will last a lifetime. 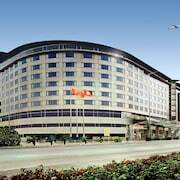 This is a great hotel, the shuttle picks you up from the airport, it's close by and there's great staff. We enjoyed the breakfast very much. Thank you! 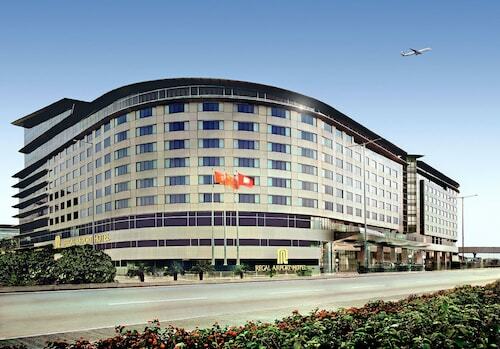 Easy walk from airport and reliable shuttle to Citygate. Breakfast buffet at Noodles on 2 only allowed 1 cup of coffee- not exactly what you would expect from a “buffet”. 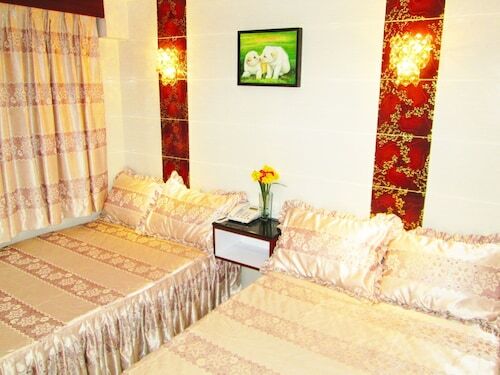 The rooms were comfortable and clean. The staff was helpful and friendly. The elevators were a tiny bit slow, but no big deal. Cleanliness, location and MRT easy accessibility. Convenient public transport to the airport as well. Connectivity to mall. It actually was just a layover stay for the night for us. However, the hotel is very nice and staff was very courteous. I like the fact that it has free shuttle to and from the airport :-) The location is super if you want to go see the Big Buddha in Ngong Ping ...walking distance.